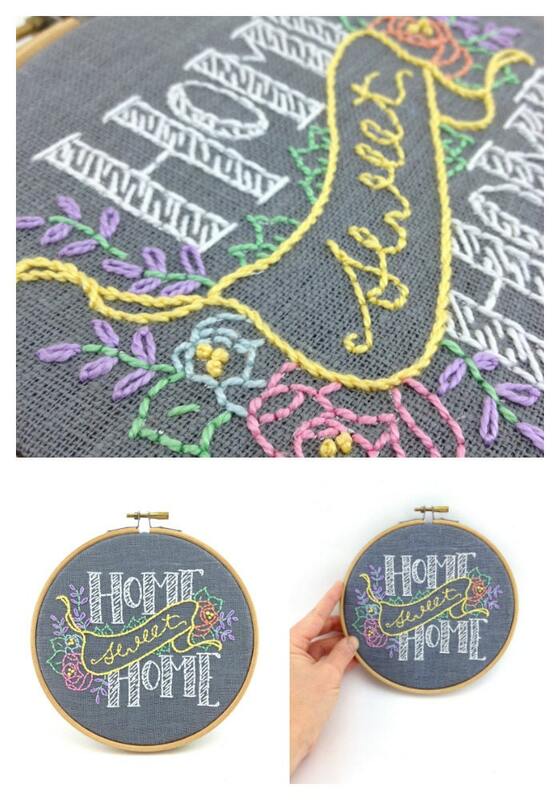 Home Sweet Home embroidery kit - perfect for gracing the walls of any home. 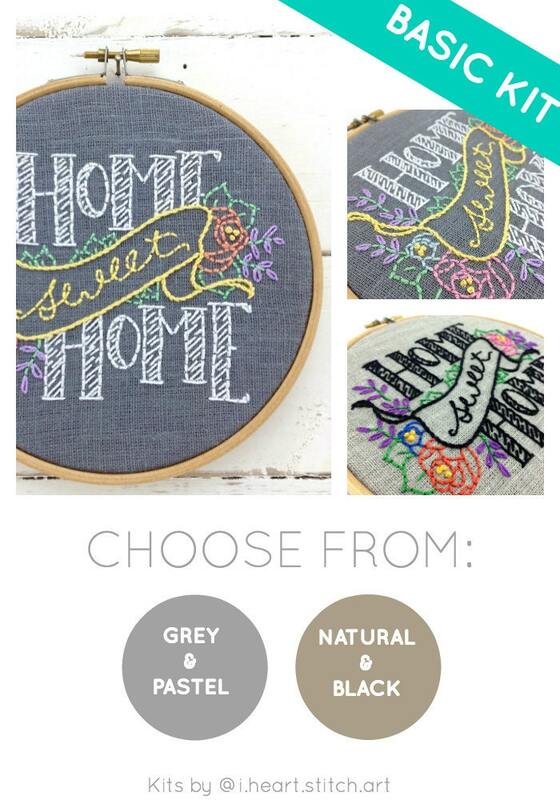 Choose from dove-grey with soft pastels, or natural linen with black lettering and bright florals. Note: this listing is for ONE embroidery kit. Choose the colour you would like from the menu before adding to your cart! You will need your own embroidery hoop and to be familiar with the stitches. 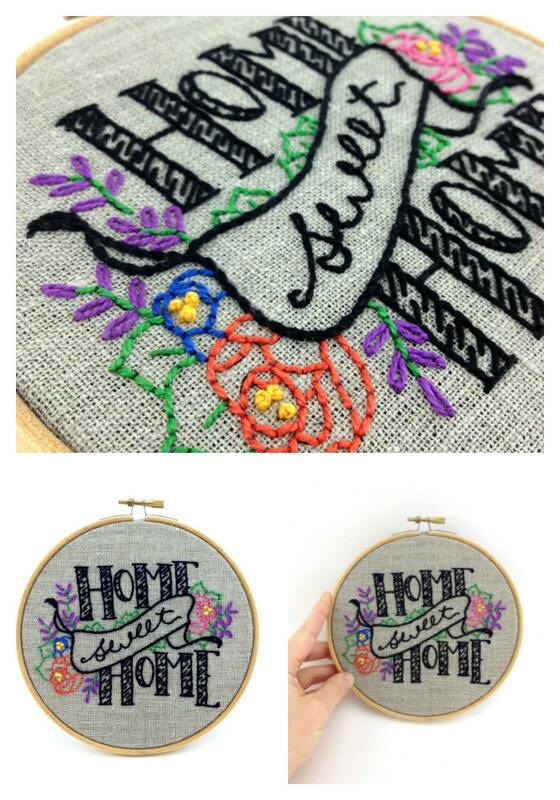 I recommend working with a 6" embroidery hoop, which is nice to hold and fits the finished image perfectly. 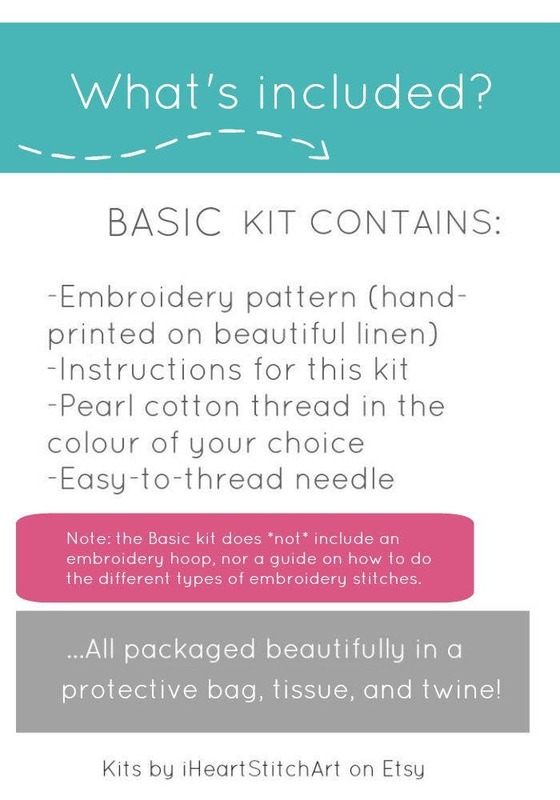 This kit is suitable for an adventurous beginner, an experienced stitcher, and everyone in between! Got it for my mom for Christmas and she loved it!